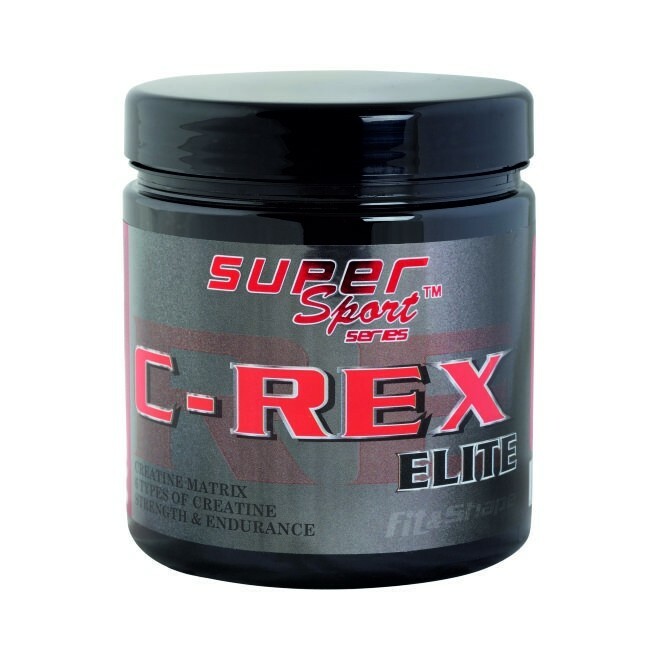 C-REX® is a creatine matrix that contains 6 types of creatine to maximize absorption and achieve the highest sporting results. 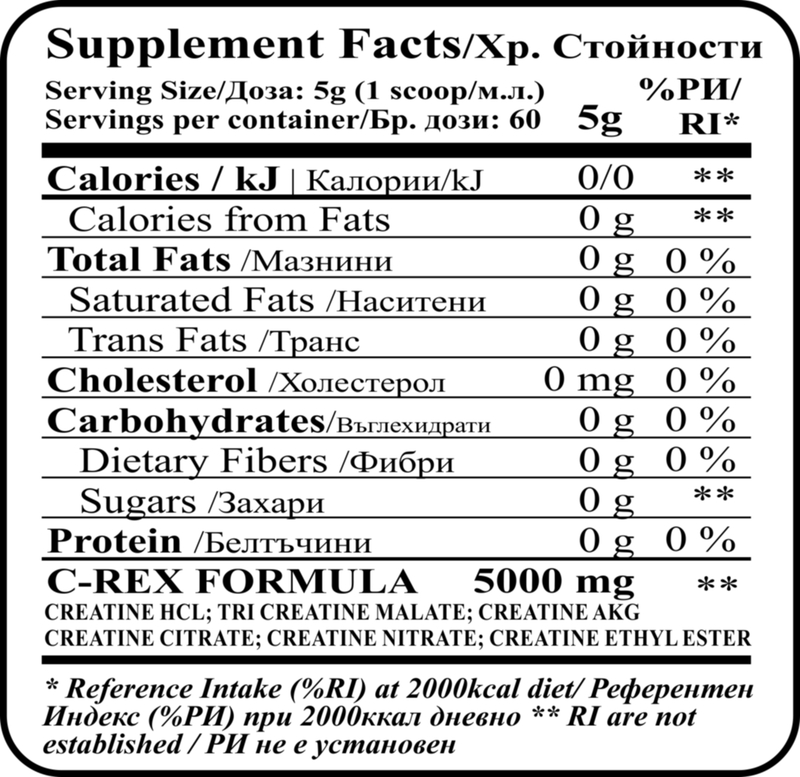 Each form needs different micro-elements for the proper metabolism of creatine in the human body. This makes creatine matrix more effective in achieving higher sports scores. A single dose of 5g will give you strength and energy during exercise. It does not retain water and can be accepted, which do not want to lose relief. DIRECTIONS OF USE: Improves strength, energy and endurance during exercise or competition. Supports the faster recovery and muscle mass gain. Take one serving before and one serving after workout. On non-workout days, take one or two servings during the day. INGREDIENTS: Creatine hydrochloride, tri creatine malate, creatine alpha-ketoglutarate, creatine citrate, creatine, nitrate, creatine ethylester.